Professor Sobolewski received his PhD and ScD (Habilitation) degrees in Physics from the Polish Academy of Sciences, Warsaw, Poland, in 1983 and 1992, respectively. He joined the Institute of Physics of the Polish Academy of Sciences, Warsaw, Poland in 1975 and became a Research Associate in 1978 and a Scientist in 1984. Between 1980 and 1981 and, subsequently, in 1984-1987, he visited the Department of Electrical Engineering of the University of Rochester, and worked there as a Visiting Research Associate and Visiting Scientist, respectively. In 1990, he moved permanently to the University of Rochester, where he is currently a Professor of Electrical and Computer Engineering, Physics, and Materials Science. Professor Sobolewski also has a secondary appointment as a Senior Scientist at the University of Rochester's Laboratory for Laser Energetics, where he is the Head of the Ultrafast Quantum Phenomena Laboratory. He is the author and co-author of almost 300 publications in peer review journals with over 100 invited presentations, seminars, and colloquia worldwide. Professor Sobolewski is a scientific reviewer for several US Government agencies, many professional journals, and a Consultant-Lecturer for the United Nations Industrial Development Organization. 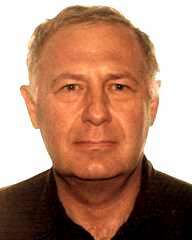 In 2004, he was the organizer and Co-Director of the NATO Advanced Research Workshop on Advanced Materials. In 2006, he received the State Professorship nomination from the President of the Republic of Poland. Professor Sobolewski's research interests are in the area of experimental condensed matter physics and applied physics. He has over 30 years of experience in condensed matter physics with a focus in applied superconductivity, ultrafast electronics and optoelectronics. He has extensive knowledge of femtosecond lasers, microwave photonics, and quantum electronics. Prof. Sobolewski's current research interests include: ultrafast quantum phenomena, nanoscience, information technology, single-photon detection and counting for quantum computing and quantum cryptography, optical communications, and optoelectronic transducers and modulators for ultrafast input/output interfacing of digital electronics. He also works on femtosecond, time-resolved electro-optic, magneto-optic, and terahertz imaging and characterization of novel solid-state materials and devices, and on the physics of high-temperature superconductivity.